Love watching your newborn child sleep with a divinely peaceful expression? Feel like snuggling up and reassuring her any time during the night? Then a co-sleeper crib that attaches to bed might be your ideal solution. 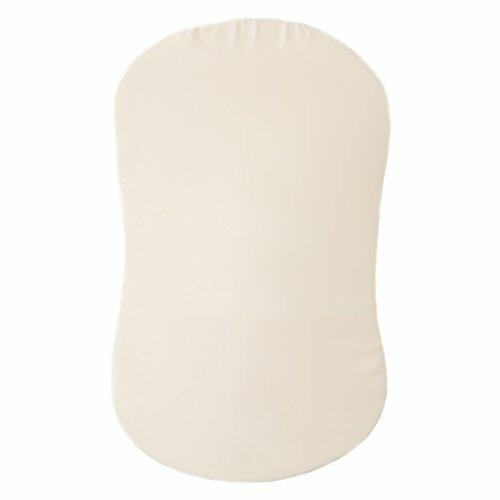 Co-sleepers are becoming increasingly popular lately, as they allow you to keep your baby close. This is especially valuable for breastfeeding mothers and moms with C-sections, who find it hard to move around easily during those initial days. A brilliant and safe way to do this is to go for a co-sleeper crib, cot or bassinet that attaches to the bed. Having baby next to the bed reduces the likelihood of SIDS (Sudden Infant Death Syndrome). Your baby is at arm’s reach at all times, but you reduce the chance of accidental suffocation as compared to having baby sleep in bed with you. 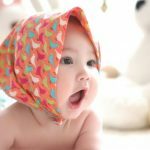 0.17.2 Organic Bassinet Sheet for Baby Girl or Baby Boy by Ely’s & Co.
0.21 When do you need it? 0.23.3 What are the benefits of co-sleeping? 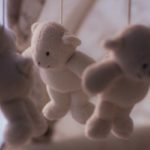 0.23.4 What are the dangers of co-sleeping? 0.23.11 When to stop co-sleeping? I’ve reviewed these personally and have spent considerable time in creating this list. I hope this will be useful for you. It helps moms quickly reach the baby without having to leave the bed. This is especially helpful for the first few days after delivery. The crib-side that comes down helps parents sleep right next to the baby while still in a separate bed. This makes breastfeeding or attending to baby during the night really easy. Being right next to the parent’s bed, a co-sleeping crib or bassinet helps to keep the child under constant parental vigilance for safety. It is usually smaller and lighter than a regular cradle. 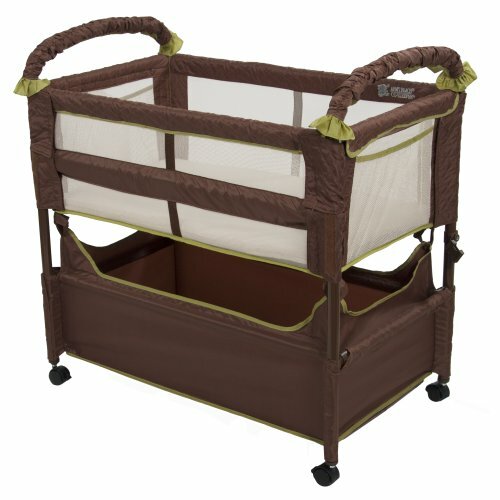 This makes a crib attached to bed an excellent choice for small spaces too. I have reviewed and listed down my favourite co-sleeping beds below. Anyone of these would ensure your baby’s safety and will let you cherish the warm experience of sleeping cosily with your bundle of joy. I hope that you will find the best co-sleeper crib for you and your baby, with the help of my guide. Don’t worry if you’re not entirely convinced about co-sleeping or having the baby in bed with you. The Mini Arc works as a free-standing bassinet as well as a co-sleeping crib. Its neutral color option blends well in any room with any decor, and the open mesh design allows for great ventilation and gives a clear view of the baby inside. It includes storage space which is highly convenient for keeping essentials for night time use, such as diapers and formula. It works best for younger babies from the ages of 0-5 months. It is light in weight and a great pick for small spaced rooms and houses. One of the best mini cribs available. Easy to assemble and really easy to pack up for traveling! If its height suits you then you can use this bassinet as a changing table after the baby outgrows it. The attached storage compartments will be of great help for this. It does not have built-in leg extensions like the Clear Vue co-sleeper so, if your bed is greater than 24″ tall, a leg extension kit has to be purchased at an additional cost. The co-sleeper and bassinet modes by Arm’s Reach are designed for an infant up to approximately 5 months in age (or about 23 pounds in weight) or when the child begins to push up on hands and knees, whichever occurs first. It can be used longer than a moses basket, but once baby starts to push up, you want to move to a bigger crib or a bedside cot. Overall, it is a good quality co-sleeper crib. It provides all the features that you need in a co-sleeper. Light in weight and a great pick for small spaced rooms and houses. It is one of the best mini cribs available. This is a good co-sleeper for parents who want the ability to use the crib as co-sleeper or lift-up the collapsible arm-rail for safe sleeping during the day. 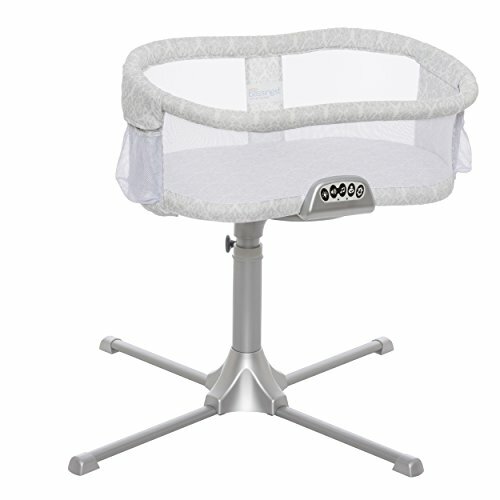 The clear mesh sides help parents to have a clear view of their baby at all times and the inbuilt leg extensions allow it to work for almost any bed height. These legs adjust between 24” and 30” in 2” increments. Also, includes a nylon strap and plate that can be attached to the parent’s bed to convert the bassinet into co-sleeper. It is a great co-sleeper for infants but won’t work for babies older than 5 months due to the height of the arms which will be easy to climb over for more mobile infants. If the height suits you then it can be used as a changing table even after the baby outgrows it. Plenty of attached storage compartments. The mattress that comes with it fits great but since it is a thin one, some parents prefer to buy another one that is softer and organic. When you roll down the co-sleeper side attached to bed, it goes down around half way and a little barrier (around 4 inches high) remains. Practically, this barrier helps to keep the baby in place but some parents prefer it to go all the way down leaving no barrier in between. It has inbuilt leg extensions to adjust to varying bed heights. These legs adjust between 24″ and 30″ in 2″ increments. The co-sleeper and bassinet modes by Arm’s Reach are designed for an infant up to approximately 5 months in age (or about 23 pounds in weight) or when the child begins to push up on hands and knees, whichever occurs first. This co-sleeper cot is a great choice for moms choosing to breast feed as well as those recovering from a C-section. It’s also a great choice for small spaced rooms, as it is concise, and has all the features you would ever need to co-sleep with you little one. While the wheels could have slightly better grip, for the most part, it is the perfect co-sleeping bed that allows parents the option of co-sleeping with their child or using it as a crib, and a great pick for moms who prefer to breastfeed. The BabyBay Convertible Bedside Cot is ideal for parents who want a classic style bed for their baby in a co-sleeping format. It fits well for nearly every average bed with the option to adjust it with different attachments. Because of its simple core beech finish, it is an attractive option for parents who like to keep a minimalist décor. The BabyBay co-sleeping cot is made from non-toxic materials, making it a good option for parents who are looking for safe products for their baby. Its solid colour makes it possible for parents to combine colours and patterns, no matter the gender of the baby. It may be a little challenging to assemble, but most co-sleeping cots are. With a little patience and some knack, you can have one of the cutest and sturdiest co-sleeping cots available for your older baby and has a much longer life-cycle than most others. A crib attached to the bed, as the name suggests, is a crib that is fitted right next to a bed to let a baby sleep along with parents while practically sleeping on a separate cot. These kinds of cribs are commonly known as co-sleeping cribs but due to their smaller sizes, many of them fall in the category of bassinets and are referred to as co-sleeping bassinets. This is an ideal co-sleeping crib for new moms who may have had to go through a C-section as its low arms make it easy to tend to baby without mom having to reach or extend herself too much. The side wall lowers so you can have baby sleep right next to you with an open space or you can lock it up if you want to be sure that baby doesn’t roll into your bed. It also swivels should you need to bring them in closer or move it out for easy exiting from your bed. It has a stable four point base, half of which goes under the bed. This saves space. 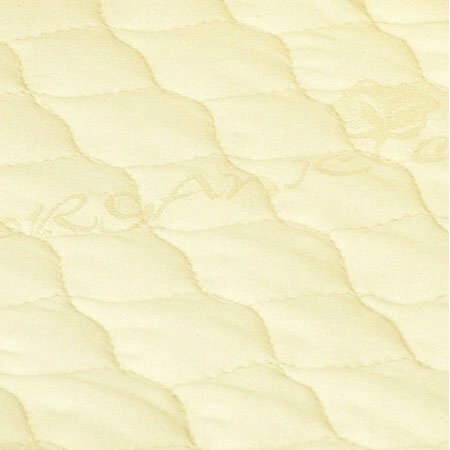 It includes a polyurethane mattress pad which is waterproof and contains no toxic flame retardants. 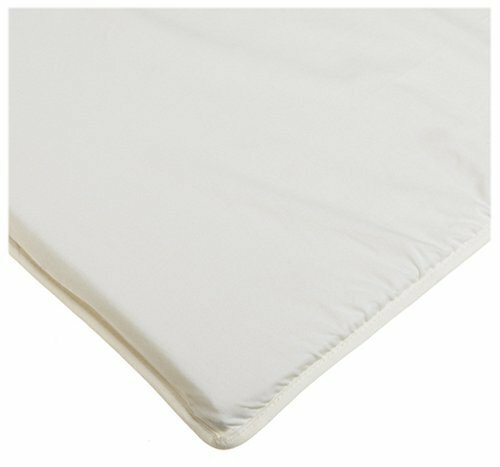 It also includes a 100% polyester coordinating fitted sheet which covers the provided mattress pad and is made from polyester that wipes clean with a damp cloth. This sheet is machine washable. This product is recommended for babies up to five months of age or 20 lbs (9.1 kg) in weight. Maximum weight limit is 30 lbs (13.6 kg). When infant shows signs of pulling up, rolling over or pushing up to kneeling position, use should be discontinued. In summary, the bassinet has a storage capacity with two storage pockets to store essential baby stuff. While it might be slightly heavy for assembly, once put together, it makes life so much easier. Overall, a very sturdy and functional, and an excellent bassinet that hooks to bed; for nursing mothers and those recovering from C-Sections. This swivel sleeper allows for easy breastfeeding, especially during night feeds. Moms can have baby close by the bed without having them share the bed and when needed, swivel the co-sleeping bassinet close for nursing. It has a high-quality sturdy base for being a lightweight bassinet which also helps parents to be relaxed about baby’s sleep time. The mesh walls allow for visibility at all times for parents who want to be able to check on baby from the comfort of their bed. It works quietly and smoothly which is a big plus for a good night’s sleep. Unlike a traditional Moses basket, this co-sleeper can rest comfortably on parent’s mattress when mom or dad want baby close and the height is adjustable. While it is slightly on the heavy side, the functionality of this swivel bassinet makes it ideal for small spaces and for mom and baby’s comfort and safety. The unique design of this bassinet is both functional and comfortable for infant and parent. 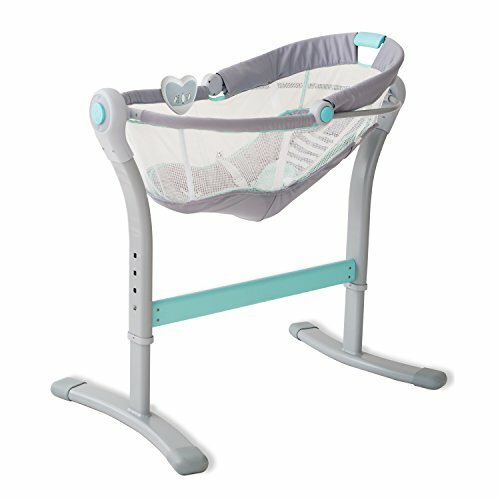 The elevation in the incline helps baby to breathe easier while sleeping and the rocking feature helps keep baby asleep without mom or dad having to leave the bed. Since it can detach from the base, parents can have baby share the bed with them in the comfort of their own space. This is safer and better for baby. Mesh side allows for clear visibility at any time. It’s easy to move and allows for safe and comfortable sleeping for newborns. While it is a large bassinet, this same factor helps to make it a sturdy and reliable place for baby to sleep comfortably while staying close to mom and dad. It’s a great option for parents who want the possibility of having baby share the bed with them in a safe space. Some parents may need to travel and knowing that you will always have a safe space for baby to sleep is worth any price. The LulyBoo bed is an ideal option at an affordable price. 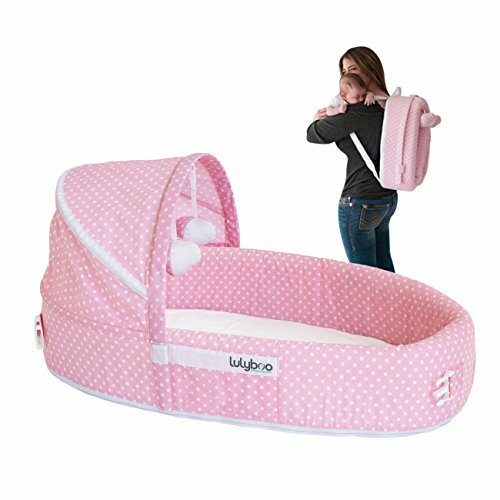 Its portability is made possible with the ability to turn it into a backpack when not in use while still allowing a personal sleeping space for baby on parent’s bed. It’s large enough to provide baby with personal space while bed sharing with parents yet small enough so that it doesn’t take up too much space on the bed. It works great for parents who are looking for bed sharing options that are reliable and safe and comes with a comfortable cushion for baby. It is slightly on the bigger side for small newborns and small for older babies, but works well for most infants, making it the ideal choice as a portable co-sleeping bed for travel. If you’re looking for a portable co-sleeping crib, but don’t like the idea of bed-sharing with the baby, this Chicco Sleeper is the perfect alternative. It provides a sturdy base for a safe night of sleep while still allowing for portability. The open side provides parents to co-sleep with the baby while allowing them to have their own space. The mesh walls are perfect for being able to observe the baby at any moment from any angle, and the adjustable height helps to make it ideal for any bed. It is easy to put together, and once set up; it’s a convenient co-sleeping crib for moms who want baby near to them at night. It doesn’t come with storage space, but being such a sturdy and portable co-sleeping crib, most parents won’t mind at all. This co-sleeper cot, like all other co-sleepers from Arm’s Reach, is made from chemical-free materials, making it an entirely safe option for your baby. As a parent, I only want organic and non-toxic products for my children, and this is an ideal choice for co-sleeping. It has wheels that make it easy to move from room to room and mesh sides for visibility and breathability. This Arm’s Reach co-sleeper also offers adjustable height so parents can fit it next to their bed, no matter the size. The storage space on the bottom of the co-sleeper cot is a great feature making it easy for mom to reach for anything she may need during the night. While it may not be large enough for older babies, it’s an excellent option for newborns. The combination of the dark wooden frame with the light-coloured cushion makes it an attractive bassinet while also providing a great use for parents who want to co-sleep with their little one. This Arm’s Reach co-sleeper crib is for those want a sturdy traditional crib that sleeps like a co-sleeper. 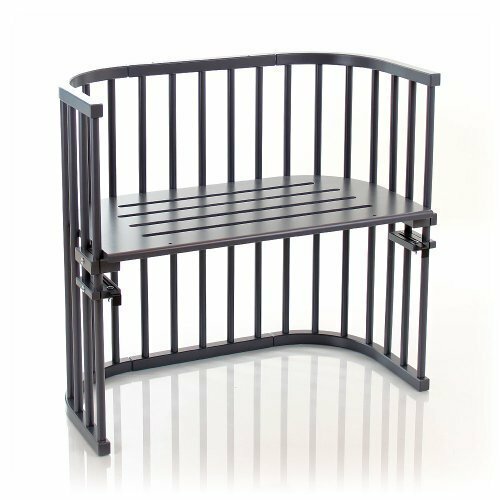 With a wood frame that is both sturdy and durable, this dark brown crib will offer a stable and safe place for baby to sleep close to mom or dad. It has wheels on the bottom for easy transportation to and from rooms and offers height adjustment making it ideal for different bed sizes and attaches to bed without any hassle. 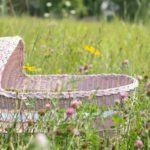 It is an attractive piece of furniture that is highly functional and dependable for parents who want something more solid than the average bassinet. Some parents worry about the durability of co-sleepers, but this wooden co-sleeper will provide long-lasting use for moms and dads who may be thinking about having multiple kids. While the included mattress may not to be everyone’s liking, it is easy to adjust and add more cushion. Overall, this is a sturdy, dependable, and fashionable co-sleeper that will look great in your bedroom. This small yet reliable co-sleeping crib is perfect for parents who may already have a crib but who want to have baby sleep in bed with them during the first few months. It comes with a removable nightlight which allows parents to check on baby during the night. It also makes for a great travel bassinet and folds up to make it easy to carry on trips. It’s also a highly affordable alternative to larger bassinets and co-sleeping cribs. Its arms are high enough to keep baby safe from rolling out but low enough for mom to be able to easily breastfeed when needed. While it isn’t ideal for babies over 4 months due to the size, it works well for moms and dads who are looking for a co-sleeping crib for their baby’s first months. While it isn’t the most protective co-sleeping crib, it’s a good idea for parents who are bed-sharing with baby and want some type of added protection against suffocation. The BabyBay Convertible Bedside Cot is ideal for parents who want a modular co-sleeping crib that can grow and adapt to your child’s needs. It fits well for nearly every average bed with the option to adjust it with different attachments and can be used as a bench seat for your child up to the age of 10. Investing in BabyBay Convertible gives you years of use instead of just the first few months that other co-sleeping cots offer. The side rail attachment allows it to be used as a safe standalone cot. It fits easily and quickly with spring-loaded clips which make the independent unit secure and sturdy. The child safe clips make attaching or removing the side rail a breeze. Once your child can sit up, it should no longer be used as a bedside cot. However, it remains useful as a daybed, bench seat or a desk. The optional highchair conversion kit gives you further years of use, making it exceptional value for money. The Babybay Convertible Bedside Cot is designed and manufactured in Europe from a sustainable wood source of natural beech. As a parent, you’re always searching for the best products for your children and doing your best to keep them safe. Part of keeping your baby safe in a co-sleeping crib is ensuring that sheets fit perfectly, pillows are made from quality materials, and mattresses are firm enough for a safe night of sleep. 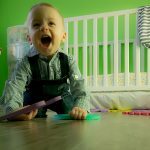 To help you find the most reliable and best quality products to ensure your baby stays healthy and happy, I have thoroughly researched and compiled some of the top crib accessories available. Any parent would want softness in their baby’s sheets as well as durability. These sheets by Arm’s Reach combine these two factors with their polyester and cotton blend. They fit co-sleeper bassinets just right, and the Velcro on the bottom of the sheet helps to keep it in place which is very important for a newborn’s bed sheets. Organic Bassinet Sheet for Baby Girl or Baby Boy by Ely’s & Co. 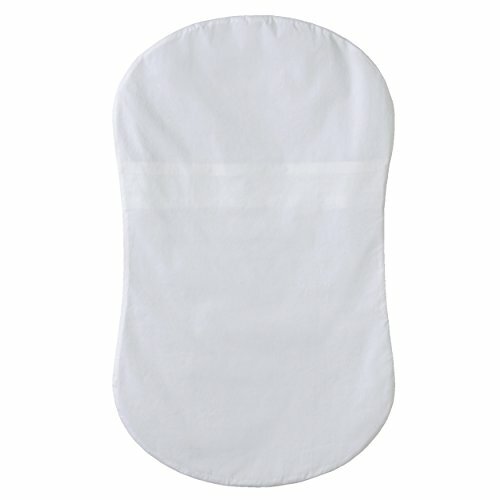 This 2-pack of 100% cotton is so soft; they are perfect for newborns. Because they are organic, you can be assured that your baby will be resting on safe material and they fit any bassinet or play yard. The neutral tones make them perfect for either gender and lightweight fabric allows for breathability and keeps the baby from getting too warm. For parents who are interested in the Halo Bassinest Swivel Sleeper, you may have wondered about what type of sheets to buy. This Halo fitted sheet is specially made to fit the Halo Bassinest Swivel Sleeper and they fit very well, although they may take some time to put on. It is made from cotton and provides long-lasting use. If like me, you’re concerned about keeping baby safe from toxins and non-organic material, this is an ideal mattress as it is made from organic latex and is free from a variety of chemicals that are often used in mattresses. It is also hypo-allergenic and anti-fungal. It fits most average sized co-sleeping beds (18” x 31”) and has comfortable padding (3” thick) that is firm enough for baby to sleep soundly. Overall, it is a good option as it promises safe and chemical free use and is one of the best mattresses available that will provide parents with peace of mind. A firm yet plush mattress, the Arm’s Reach Concepts Inc. Mini Natural Mattress is a step-up from the mattress that comes with the Arm’s Reach Co-Sleeper. It has quality fabric and is made from organic materials. This is always necessary for safe sleeping and healthy babies. While it isn’t as firm as some people may like, it provides sufficient firmness for safe sleeping. It is similar to the mattress that comes with the co-sleeper, but for parents who would like something a bit more comfortable and organic, this is a better option. Because the Halo Bassinest Swivel Sleeper has a unique shape, it can be challenging to find a mattress that fits it well. The good news is that Halo created a replacement mattress for it. 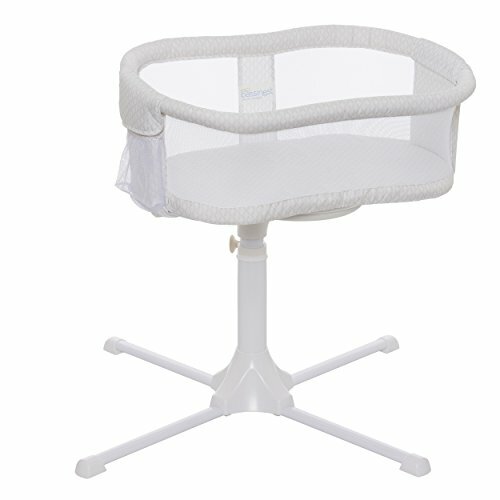 It fits any Halo bassinet and provides sufficient firmness for safe sleeping. It is made from organic materials, contains no PVC, and does not contain flame retardants either. For any parent looking for a safe and comfortable mattress for baby that they can trust is non-toxic, this Halo mattress is an excellent idea. 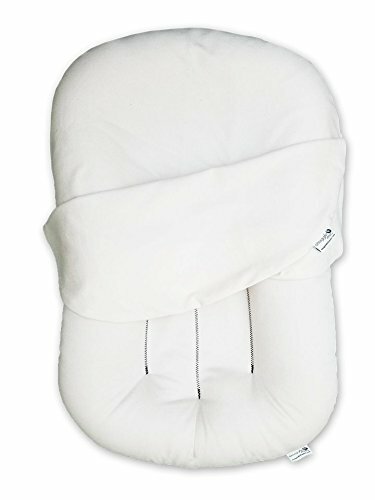 Choosing a baby pillow is about finding one with the right features and this Baby Pillow helps to provide parents with peace of mind because it offers a slight elevation for babies with reflux, has a concave center which is essential for keeping baby from getting a flat head, and is made from completely organic cotton. It has a mesh construction which means that it keeps cool which is important for keeping baby comfortable and breathing well. 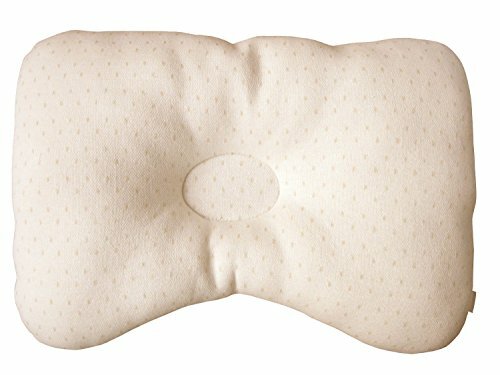 This organic cotton pillow is a safe option for baby and helps babies with plagiocephaly to start to sleep centered instead of on one side. It is also free from pesticides, chemicals, and dyes. 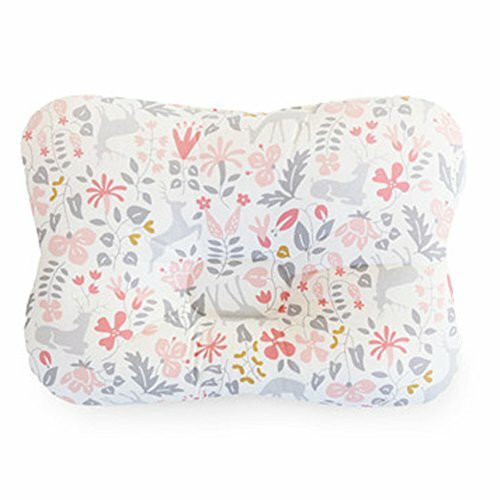 this makes it a safe pillow for baby to use without parents having to be concerned about baby breathing in toxins. The concave center is highly beneficial for children who may be getting a flat head. This Snuggle Me is a combination of bed, pillow, and mattress and can be used as a portable bed or for baby to co-sleep with you in your bed. The shape and build of this Snuggle Me product allows for comfortable and safe sleeping and makes it easy to move from room to room or even use it for travel. 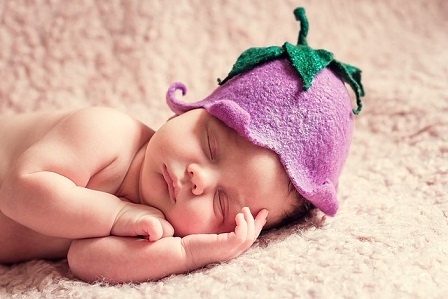 The firmness is just right and the fact that it’s organic means that baby will sleep free of toxins. The Lullaby Trust (formerly known as the Foundation for the Study of Infant Deaths – FSID) says the safest place for your baby to sleep is on his back, on his own sleep surface, in the same room as you, for at least the first six months. A cot or crib attached to bed (also known as a co-sleeping crib) is a crib that can be placed right next to a parent’s bed to allow a baby to stay by your bedside but on a separate cot. These are essentially very similar, with minor differences in size or shape, and are made for bedside attachment. 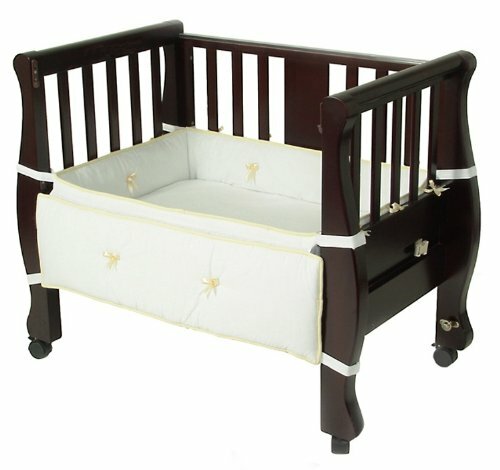 Since baby co-sleeper attaches to bed, the size is usually smaller in comparison to regular cribs. 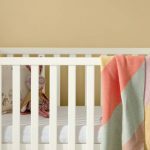 Many of these smaller cribs are actually co-sleeping bassinets as they’re smaller in size, lighter in weight and cheaper in price in comparison to regular cribs. There are a number of ways in which a co-sleeping crib can be placed. While selecting the right co-sleeping crib for you and your baby, you must decide among the following; do you want a co-sleeping crib that is positioned in bed with you (also known as bed sharing), a co-sleeping crib that attaches to the bed or is a bedside co-sleeping crib. The best time to use a co-sleeping crib attached to the bed or a co-sleeping bassinet is during the first six to eight months after birth. This is the time when a baby is most vulnerable and needs constant attention and immediate feeding when hungry. It can, however, be used after eight months also as long as it supports the baby’s weight safely. 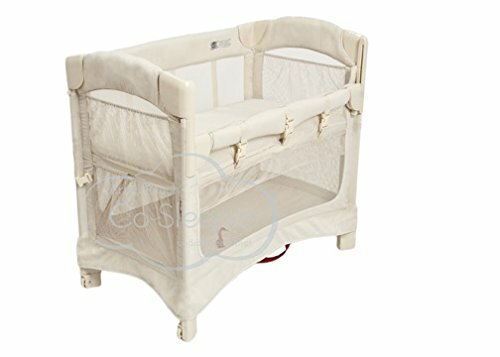 Co-sleeping Bassinets are often a single basket and do not have many frills or flaps that open up on one side. They are relatively more economical than other types, but their easy maneuverability and portability makes them especially appealing. They tend to cater to newborns or infants and often outgrow their usefulness by the time your baby is 3 months old. Co-sleeping Cribs, on the other hand, are slightly larger than bassinets (6 months to 1 year), and sometimes come with a slide or flip down option for one of the sides so the parent can actually sleep next to the child. This makes night time feeds a whole lot easier. Co-sleeping Cots are often bigger than cribs but without the frills and fancies of a proper bed. They serve their purpose, attach to a regular bed, and last until your baby is a toddler. This is an economical option if you’re planning for a co-sleeping cot that will have a longer life cycle and can grow with your child. Another great option for a long-lasting co-sleeping cot with lots of usefulness is a co-sleeping bed. It initially attaches to parents’ bed and often can be extended in length as the child grows. It can even become an independent crib and eventually can be converted into a toddler bed for your growing child, often right up to the age of 5 years. If multi-functionality and comfort are what you’re after then this is what you’re looking for, but do remember that an investment in these co-sleeping beds can often be far dearer than the other options, regarding cost, especially when you go for safe and non-toxic options. Most co-sleeping cribs and bassinets can also be transported easily from one place to another because they are usually light-weight. Many of them are also smaller in size just like cribs for small spaces or apartment size cribs, which make them an excellent choice for small spaced rooms and houses or apartments. 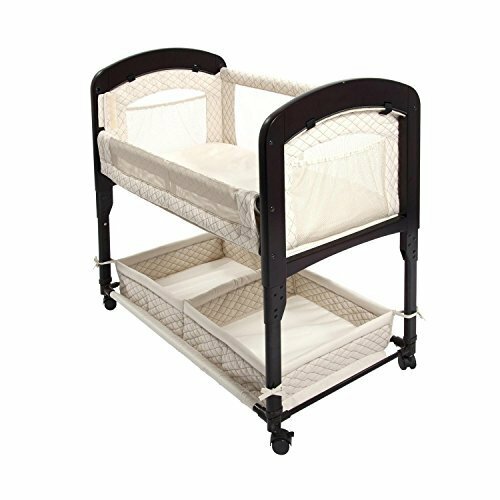 Co-sleeping cribs are thus ideal for newborns and infants, but can also sometimes be used with toddlers and older babies. They are perfect for C-sections and convenient while breastfeeding. Co-sleeping is when parents share their bed with the baby. There are many reasons why parents opt for co-sleeping. Moms like me like to have the baby near them for providing some warmth and reassurance, and for quick breastfeeding. This way, the baby doesn’t have to cry to be fed during the night. Many babies have a difficult time sleeping if they aren’t near mom. Parents want to be able to comfort the baby at a moment’s notice when needed. Some parents feel it helps to build a stronger bond between child and parents. Co-sleeping can be safe or it can be dangerous depending on how you do it. I do not recommend a bed full of sheets and blankets and baby “freestyling” in the middle. If you’re co-sleeping without a co-sleeping crib, make sure you have a large bed. This provides everyone with plenty of room to sleep comfortably and to avoid accidents. Co-sleeping while bed sharing is much safer when the baby is in a co-sleeping crib. This provides a barrier between them and rolling into mom or bed sheets, which can be very dangerous. Co-sleeping cribs often have a side that rolls down. This way, you can easily reach your baby for breastfeeding or for cradling. If he gets uneasy during the night, you don’t have to get out of the bed. This roll-down-side feature is absolutely safe as the crib body gets attached to your bed. This ensures that your baby cannot roll out and fall off during sleep. Personally, I like to have my newborn near me during the night. I have this primitive impulse of keeping my baby right next to me through the night. In my opinion, sleeping together during the initial months after childbirth forms a very intimate bond between child and parent. What are the dangers of co-sleeping? Co-sleeping has to be a conscious decision made by both parents. It can be dangerous for the baby if parents aren’t prepared. Parents who co-sleep with the baby without the use of a co-sleeping bed are taking a significant risk. A parent who sleeps heavily might possibly roll on top of the baby without noticing. This might cause suffocation. Similarly, a bed with an abundance of sheets and blankets can be hazardous for the baby. They might get rolled up in them and be unable to breathe. Even a co-sleeping crib can be a danger for the baby if parents move and roll around a lot. Co-sleeping beds protect the baby against dangers like suffocation. There have been cases where due to alcohol, drug consumption or deep sleep, parents unknowingly rolled over their baby. Sometimes this happens when the baby’s nose or mouth is accidentally covered during sleep. When a baby sleeps next to her parents rather than with them, it reduces the chances of an accident. Parents are able to keep a constant and careful watch over the baby. For all these reasons, I genuinely find cribs attached to bed a great invention for both parents and children. The presence of many blankets or bedspreads in the parent’s bed might lead to SIDS (sudden infant death syndrome). This happens due to baby’s suffocation or bed overheating. Use a co-sleeping crib that is set up next to the bed. This way, you’re close enough to baby to breastfeed or comfort. But the separate space helps keeps baby safe and free from getting entangled in blankets. There is also no way for mom to roll into the child’s space. If bed-sharing, have the baby on one side of the bed with the opposite side being against the wall. This helps the child no to roll out of bed or onto the other side easily. The time to be most cautious in co-sleeping is when your child is a newborn. Newborns are much more delicate than older children. Preferably, do not sleep in bed with them without a co-sleeping bed. Because they are still so small, we might roll on them without noticing. It is much easier for them to suffocate than older babies. Parents who want to co-sleep with the baby should use a co-sleeping crib that attaches to bed to avoid accidents. If you do decide to co-sleep with baby in their bed, use a small portable co-sleeping crib. This keeps the child from rolling into their blankets. When a baby is older, you can co-sleep with them more easily as they sleep better and breathe better than newborns. It is also easier to share a space with them without worrying too much about accidental suffocation. However, parents who are on medications or who sleep very heavily should avoid bed sharing. This is for the safety of their baby. Parents often claim they will recognize that their baby is sleeping next to them. However, it’s not worth the risk. Some parents co-sleep with their children until they are three years old (or sometimes longer). While this may not be the preference for every parent, many parents who do it appreciate the bond. They feel it has a positive effect on their children. They believe that children who co-sleep are more confident, feel safer, and sleep better. Older children may benefit from the closeness with their parents. They can now recognize that bond with them which will help them become well-rounded and confident. This is, however, absolutely up for debate. This is entirely a personal decision. Many parents stop co-sleeping around the 6th or 7th-month mark when they trust that baby sleeps and breathes well. Other parents don’t want to stop until their child is around 2 or 3, and sometimes longer. It is common for children to stop bed-sharing around 2 or 3 years old. This provides them with independence and gives parents some privacy. Some parents sleep with their children till around seven years old. But again, this is a personal choice. Children benefit from the bond and closeness as infants and toddlers. Yet, learning to sleep alone may be important for their well-being as well. Co-sleeping with a co-sleeping crib is an excellent idea. As parents, we sometimes want to know that our baby is right next to us and sleeping well. Co-sleeping is also a good idea for moms who have had C-sections. They can have baby close for breastfeeding and comfort. Co-sleeping is a personal choice and a delicate matter which can be dangerous for the baby if done wrong. So parents should take great care in choosing co-sleeping cribs and sleeping arrangements. As a parent, you must take several factors into consideration. Age and weight of your child, materials used, size of the co-sleeping crib, durability, and breathability. That’s why I highly recommend the above products. They each offer safe and healthy options to help you make that choice. Happy Co-sleeping! Hello, thank you for this helpful and thorough post! It’s really useful to be able to look at all the options in one place and see all the features. I’m wondering about the Baby Bay model because in one section you said it’s great for older mobile babies and in another you say it shouldn’t be used once baby can sit up on his own. Are there two different Baby Bay products or is there some confusion from the manufacturer about use? Thanks again for your great detective work with so many products! Thank you for your compliments. The babyBay bedside cot can be used until the baby is about 11kg in weight. I believe the definition of mobile babies in that article refers to babies who move and roll around, rather than babies that can sit up on their own. The cot is sturdy enough for bigger babies, until they are able to sit up. Possibly the wording could have been better, as I get the cause of your confusion. Once the baby is able to sit on his/her own, the height of the crib is not sufficient to keep the baby safe inside. Hope this clarifies your question, and apologies for the delayed response. While overall a good article, the beginning of it is highly insensitive and unintelligent. You can not prevent any chance of SIDS. EVER. Period. That statement is asinine. As a mother whose baby passed away in her arms due to SIDS, I know that first hand. I would highly recommend you amend that sentence. Then everyone can enjoy this article in an open and honest way without being offended by its initial absurdity. I’m very sorry for your loss, and would like to apologize for stating that it would “prevent any chance of SIDS”, as this is technically inaccurate and definitely insensitive given some circumstances, as you have pointed out. I have amended the article, and hope that everyone can enjoy the substance of the article now, without any hesitations or offense, which was unintended in the first place.